Click on the individual photos to see photo galleries. Otherwise, go straight to our Flickr account. 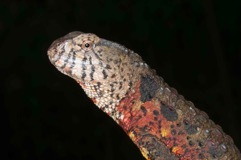 Click on image to see Lizard Lab study animals from recent and current projects in Australia, South Africa, Hawai’i, Kenya, China and Sri Lanka (in no particular order). 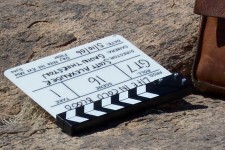 Species-specific galleries can also be found below. Click on image to see unusual signs from field trips and travel from our field trips around the world. 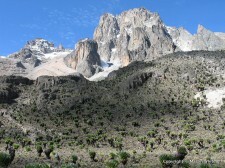 Click on image to see photos of the Tree Skink (Egernia striolata) field site, 2013. Click on image to see field work in central Australia. 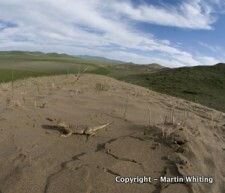 Click on image to see photos from field work in Xinjiang Province, China, from 2013. Click on image for field work in W. Australia and Fogg Dam, N. Territory, Australia. Click on image to see photos from field work in Xinjiang Province, China. Click on image to see field work in Sichuan Province, China. 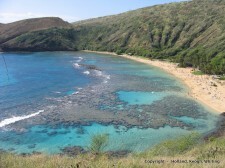 Click on image for field work on chameleons in Hawai’i. Click on image to see field work on Crocodile Lizards (Shinisaurus crocodilurus) in Guangxi Province, China, 2017. Click on image for water dragon project. These are photos of dragons and a series of well known visitors to the Lizard Lab. 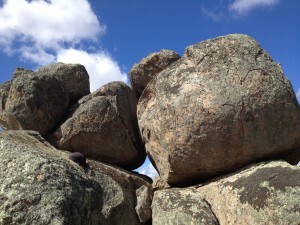 Also see our blog posts from 30 November 2010 and 13 January 2011. Click on image to see members of the lab engaged in extreme canal surfing. The videos are way more exciting (see video link). Click on image to see field work in Zimbabwe. 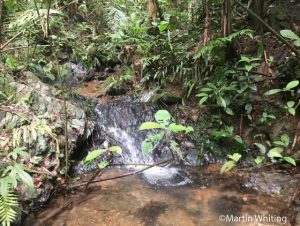 Click on image for field work in Mozambique, in Qirimbas National Park with Graham Alexander & Bryan Maritz. Click on image for field work on chameleons in Kenya. 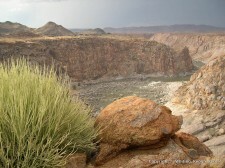 Click on image for field work on flat lizards in Augrabies Falls National Park, South Africa. 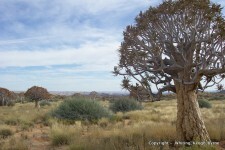 Click on image for photos of field work in Namibia. Click on image to see photos from the filming of Life in Cold Blood, by the BBC. Click on image to see field work in Sri Lanka with Ruchira Somaweera. our field work in Sri Lanka. Click on image to see a sample of the reptiles found in the Tukai Desert, China. 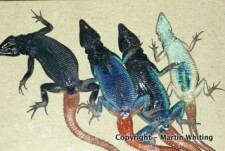 Click on image to see a sample of blue-tongue skinks that the lab is working on. Click on image to see photos of Chiromantis xerampelina. 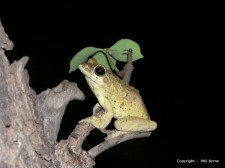 Click on image to see photos of Litoria revelata. Click on image to see Phrynocephalus vlangalii. Click on image to see the amazing Phrynocephalus mystaceus. Click on image to see Phrynocephalus helioscopus. Click on image to see the tail-waving Phrynocephalus guttatus. Click on image to see Phrynocephalus grumgrzimailoi. Click on image to see Platysaurus subniger. 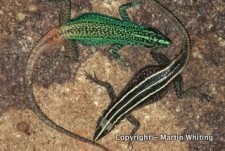 Click on image to see Augrabies flat lizards, Platysaurus broadleyi. 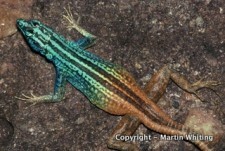 Click on image to see the Waterberg flat lizard Platysaurus guttatus. Click on image to see Platysaurus minor. 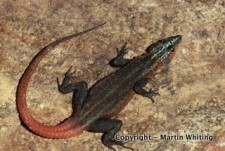 Click on image to see Cape flat lizards, Platysaurus capensis. Click on image to see Platysaurus monotropis. Click on image to see Platysaurus ocellatus. Click on image to see Platysaurus orientalis. 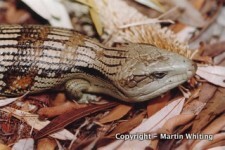 Click on image to see Platysaurus pungweensis blakei. Click on image to see Crocodile Lizards, Shinisaurus crocodilurus.